Last second preview here, for a very interesting show I’ve just heard about, happening tonight. But if this is too short notice, it goes on every month at Oberon in Cambridge, just outside Harvard Square. If you’re in the mood for some provocative and waaayyyy ‘outside the box’ cabaret/burlesque, you’ll probably want to have a look at Bent Wit. (from their press release): “Bent Wit Cabaret is a ‘high end low brow’ variety show with a different theme each month and a decidedly boundary-pushing approach to entertaining.” This includes a house band (Elephant Tango Ensemble, featuring members of Goli and HUMANWINE) and points of view from many guest artists. 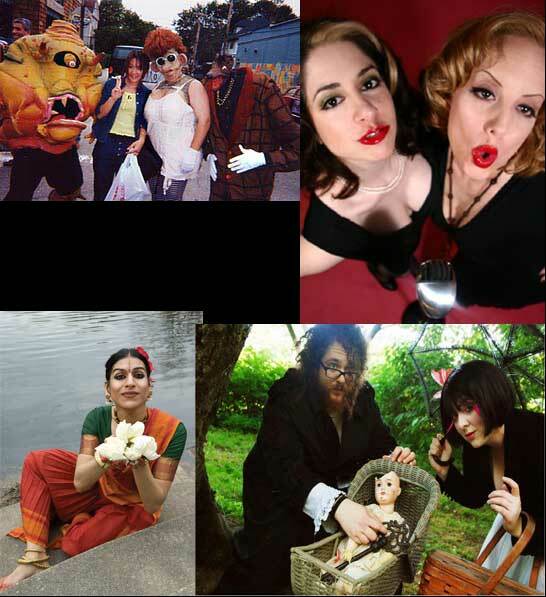 This month it’s Bent Wit Cabaret: Grotesque, featuring Big NAZO Puppets, Walter Sickert and the Army of Broken Toys (whom I can personally recommend; they’re awesome), The Steamy Bohemians and Indian dancer Mesma S. Belsare. Bent Wit was created and is co-produced by Jill Gibson and local performer Karin Webb, who’ve been putting on intelligent and edgy cabaret shows for ten years, achieving kind of a growing ‘cult status’ amongst a Boston audience interested in something unique and challenging. Their goal is to produce a well-crafted show that seems more like a theatrical performance rather than just a collection of different acts. It definitely seems to me that spectacle and cabaret is coming (back) into live performance, especially in the indie music realm, so this sounds like quite a cool thing worth checking out – which I plan to do, once I get things caught up here. Until I can, go see them and let me know what you think! What a SHOW!!!! so lucky to be a part of it!